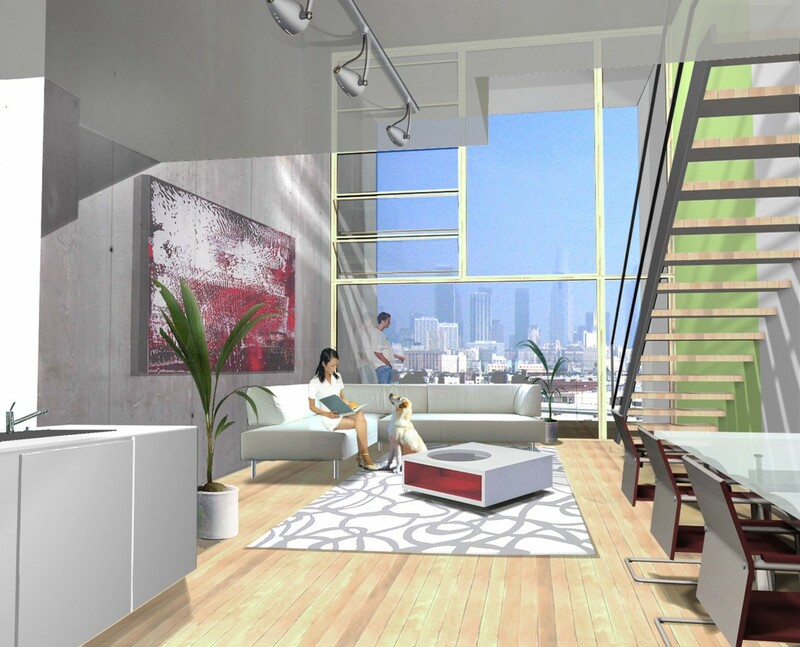 The investor „Linear City“ has gained a reputation for transforming old industrial buildings in downtown Los Angeles into privately owned apartments. 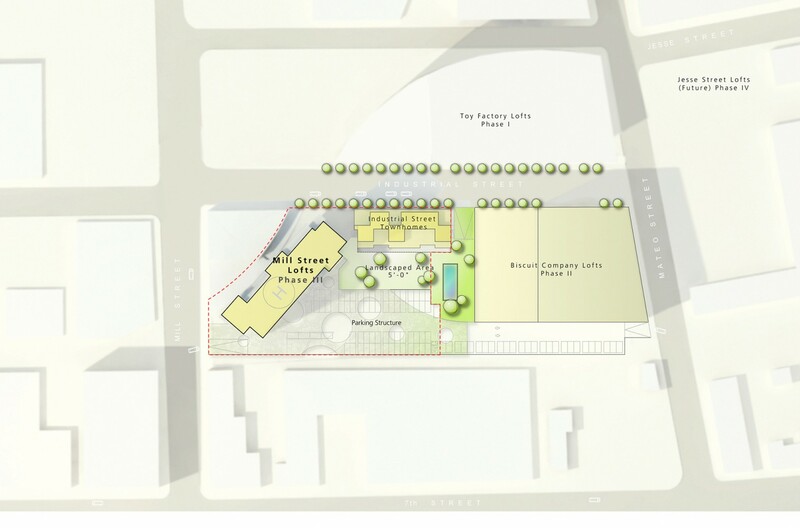 It is now planned to erect a new building on the site right next to the well-known “Toy Factory Lofts”. This site affords beautiful views of the city skyline. 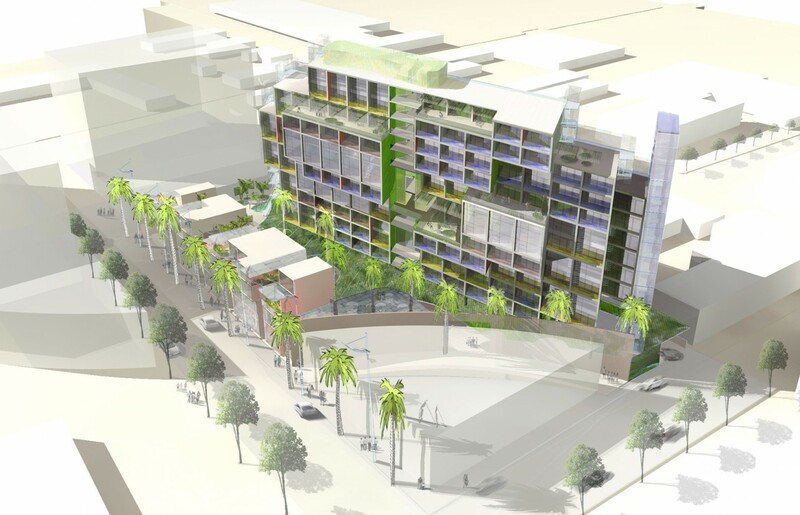 The new complex offers interesting living alternatives in an industrial area in central LA. The residential complex comprises of 120 lofts on a total of 11 floors. 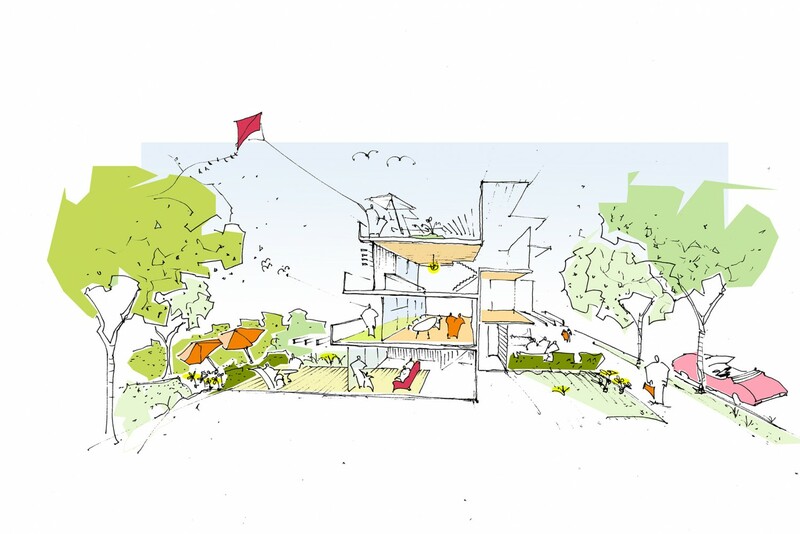 The most important element of the design proposal is a public courtyard extending above the two parking levels, which is deliberately set off from street level and protected from the noise of the traffic. Nine independent town houses are adapted to the façade addressing the street. 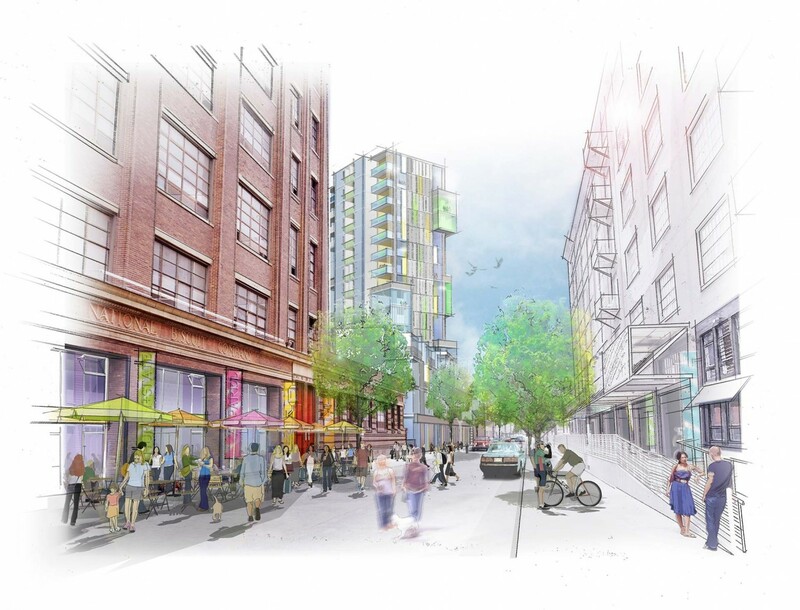 Parts of the historic brick facades are to be preserved. 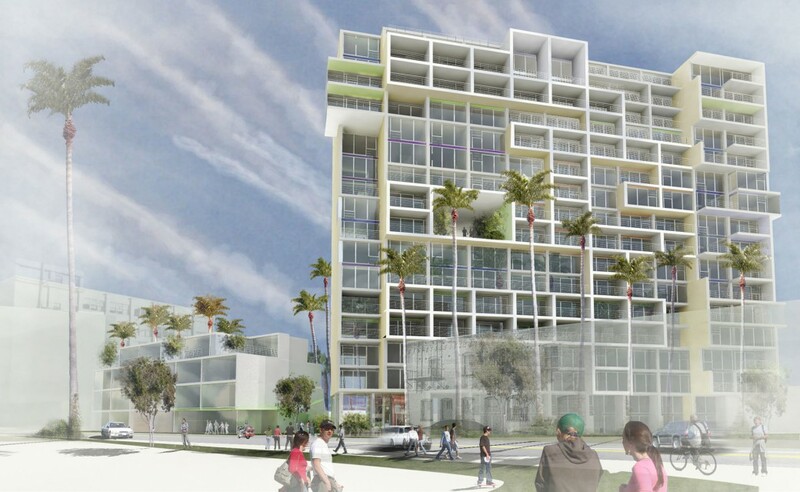 Further functions (a fitness club, a restaurant and a swimming pool) could eventually be incorporated into the complex. These functions could improve the infrastructure and would benefit from the view of the skyline of LA. 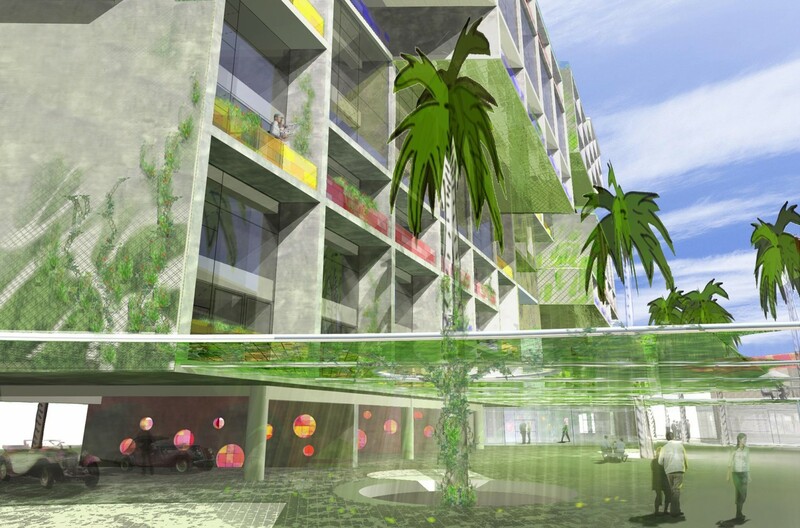 A spectacular sky-garden in the center of the block could be accessible to all people living in the building. Various layouts ranging from 70-120m2 (780-1350ft2). are available. 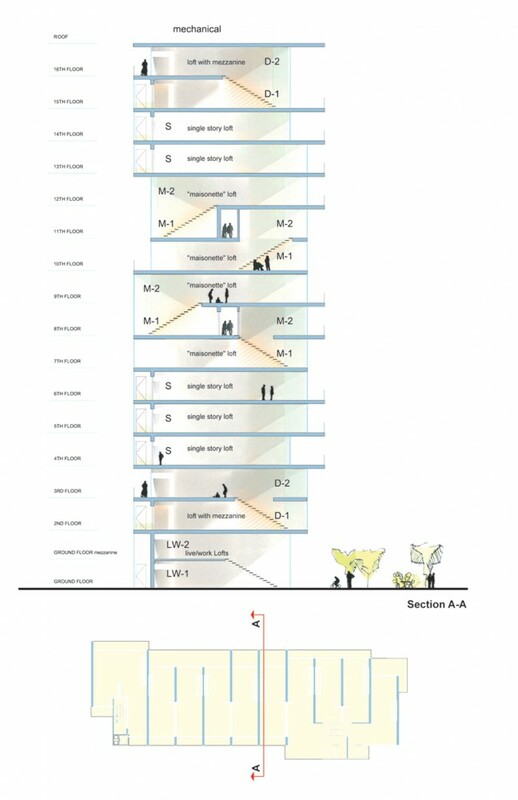 The town houses, 170m2 (1900 ft2) each, extend four floors high. The new building of the National Biscuit Company Lofts is innovative, providing for alternative living, while offering optimum standards in terms of reduced energy consumption and other ecological aspects. 12.286 qm / 132,245 sq.ft.